2. Do I use it regularly? 3. Do I have more than I need? 4. Can it be easily replaced? 5. What is the worst thing that could happen if I get rid of it? If it is not necessary to your daily life or something that has deep sentimental value to you, get rid of it. My favorite place to purge is http://www.freecycle.org. Post it online, have someone pick it up off your doorstep, usually in the same day. a bottle of vinegar diluted with water. 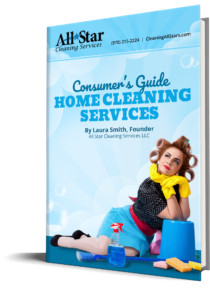 For more information on making the switch to natural cleaning, book a free workshop through All Star Cleaning Services, or call about our free booklet.